The beautiful Baxter Dressing Table / Desk is finished in a lacquer to match the Little Greene French Grey paint, one of those "supercolours" that sits perfectly in any neutral scheme. 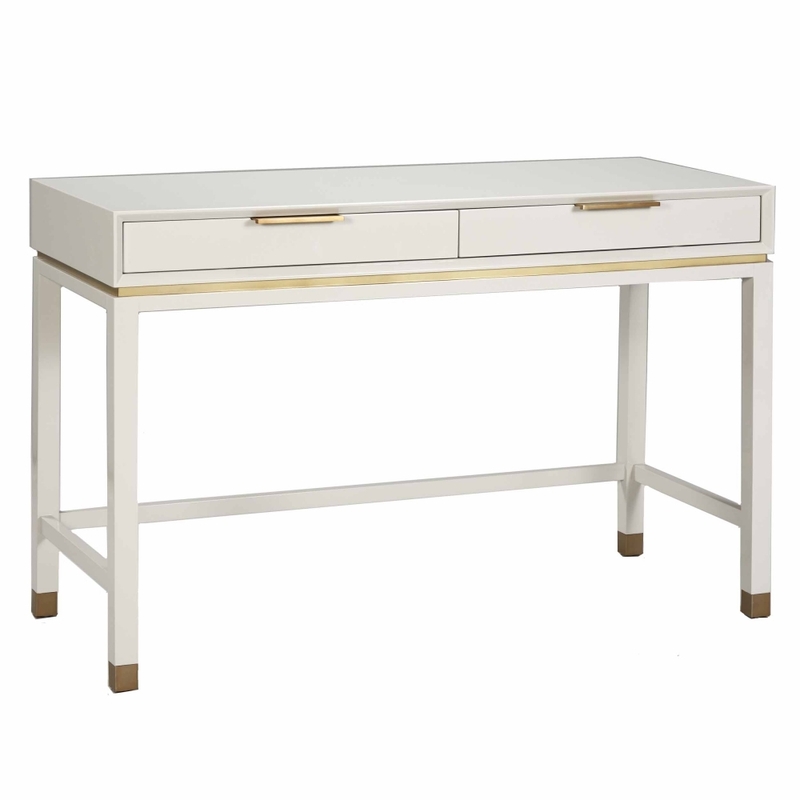 It is finished to the highest specification with lined drawer bases and elegant brass handles and trim, We can be modest and say that its perfect. Also available as a chest and 2 sizes of bedside table.